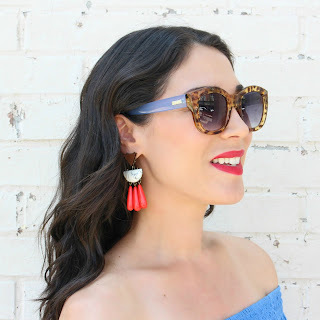 Style in Harmony: Shop Nordstrom Markdowns! I've been browsing Nordstrom's site on a daily basis lately. They have some awesome sales going on! 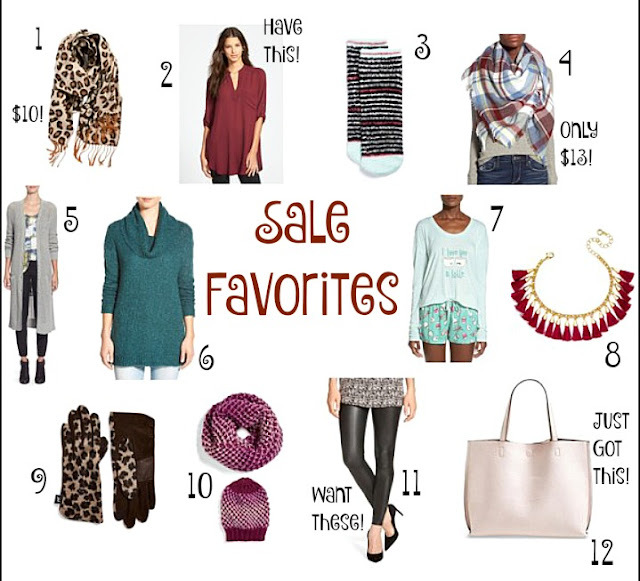 I put together another list of my current favorite markdowns for you all to shop! If you are still Christmas shopping, there are some great gift ideas below. Plus, all of these items are under $40! Woohoo! 1. Leopard Fringe Scarf, $9.98 // New markdown, awesome price! 2. Lush Roll Tab Sleeve Tunic, $25.20 // Have this in teal and love it! Comes in several colors and patterns. 3. Fuzzy Ankle Socks, $2.98!!!! // Can never have enough of these in the winter! 4. Plaid Square Scarf, $12.98 // Awesome price for a blanket scarf! 5. Knit Duster Cardigan, $28.80 // I love the long length and the color options are gorgeous! 6. Cowl Neck Tunic Sweater, $28.80 // Long and comfy! Try pairing with leggings. 7. "I Love You a Latte" Sleep Set, $28.80 // SO CUTE. 8. Baublebar Tassel Bracelet, $22.78 // Perfect for the holidays! 9. Echo 'Touch-Cheetah Print' Gloves, $31.50 // Chic gloves and touchscreen-sensitive fingertips! 10. Ombre Knit Beanie & Infinity Scarf, $24 // Perfect coordinating outerwear accessories. Also come in gray! 11. Faux Leather Leggings, $38.86 // Have been wanting a pair of these! 12. Reversible Faux Leather Tote & Wristlet, $32.16 // Just bought this in the black/leopard! Which of these stylish wardrobe pieces are on your wishlist? ?